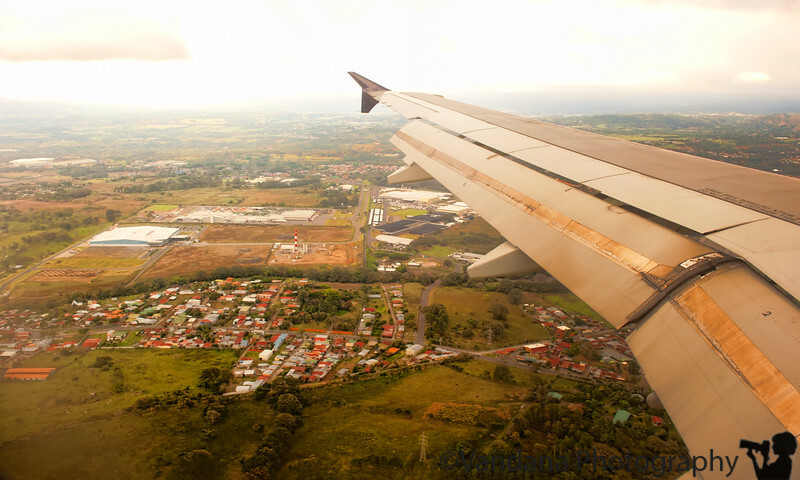 December 12, 2010 - Arrive in San Jose, Costa Rica ! Woke up at 2 AM to catch the 3AM Van Galder Bus from Rockford to Chicago. Took a cab to the bus terminal in a developing snowstorm, only to be told all buses cancelled! Called the cab back & cut a deal - drive 90 miles to Chicago in the taxicab for $150 in the snowstorm! The taxi got us in to Chicago at 5:30AM, & we were well in time fort the flight to Charlotte. The de-icing procedure kept us on the ground an hour longer, so we reached Charlotte quite late...fortunately the flight to Costa Rica was held up just for the two of us! We ran to the aircraft & boarded, & they took off immediately!. 4 hours later, arrived in San Jose international airtport, 80 F !! Picked up by Costa Rica Expedition & dropped off in Holiday Inn downtown in a minivan. Walked downtown & participated in the street festivities...thousands of Ticos in a mass Christmas celebration...snagged a falafel pita after a lot of hassle. Couldn't buy a sunscreen at the stores since nobody knows English & we don't know Spanish! V had a frutas sundae at Pops, served by ladies in nurse-like outfits. Big day tomorrow...drive to tortuguero national park. I like it when you have good luck! Great view to start off your trip!